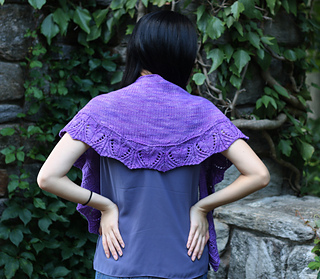 Made from the bottom up, Siduri is super easy crescent shawl with a pretty lace border. Short rows are used to create the graceful crescent shape--but the technique requires no wraps and turns! The gorgeous yarn seen in the photos is available as a kit from genius colorist Carol Sulcoski at Black Bunny Fibers. 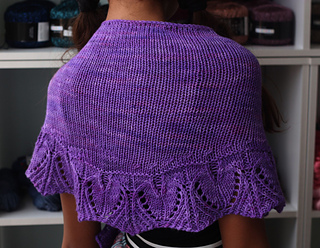 Best of all, this beauty is the perfect shawl project for beginners!